Selection of candidates for admission to Ph.D. is done on the basis of Merit. Aspirants are supposed to pass the various state and national level examination held by different universities which will be followed by Group Discussion/ Personal interview by respective colleges. They are also supposed to submit a thesis proposal before attending the personal interview session. Ph.D. in Legal Studies program helps students in the understanding of legal doctrines in order to prepare candidates in pursuing their legal career competently. Ph.D. in Legal Studies is laid out to prepare candidates in understanding the advanced nuances of the legal system as well as the existing doctrines. Candidates should have a keen interest in law and its various niche. They should have an observational trait to look out for details, good interpersonal skill and the knack to debate. Students who possess the skill of analyzing and interpreting the details in hand, getting to its crux and developing a good piece for argument is considered to be apt for the program. The average Ph.D. in Legal Studies program fee charged in the colleges in India for a span of 3 years ranges from INR 30,000 to 3.65 lacs. After the completion of the program, the doctorates are opened to opportunities in law, legal fields national as well as internationally, and other such. The average salary earned by professionals after the completion of the program ranges from INR 2 to 13 lacs per annum. Top Recruiting Companies Businesses, Government, and Private organization, Legal department, Research, and Development, etc. Job Positions Jurist, Researcher, Lawyer, Solicitor, etc. Ph.D. in Legal Studies: What is it About? Ph.D. in Legal studies opportune candidates to enhance their understanding of the legal system and its intricacies. The students are rendered an overview of the subject, the nuances to proceed with the cases and also the tools to go about while studying a case, and the outlook required while looking into its details. The program covers different aspects of the legal system, thereby aiding candidates in initiating, contributing and developing research on their field of study. Ph.D. in Legal Studies course establishes a ground for students to introspect their capacity and polish the skills which they perceive to lack. This includes analyzing data, getting a complete understanding of the subject, being unprejudiced and building a plan only after listening to their clients. They are rendered a platform to enhance their communication skills concerning both verbal as well as written, interacting abilities which will help in building confidence in the mind of clients when dealing with a project so as to help them open up to you. The course is divided into 3 halves. The first two academic years is dealt with instilling in them the necessary knowledge and information concerning the field. In addition to classroom lectures, they are also given a practical overview of the program through field studies and workshop. The first two years concerns with developing the utmost skill of candidates helping them in conducting research in the final year. Students are meant to attend seminars wherein they can get to interact with experts closely and clear their doubts from professionals. All in all, the Ph.D. in Legal Studies program applies a balanced methodology of moulding the students into their best version as legal practitioners. Ph.D. in Legal Studies provides students with the required training thereby paving their way in gaining expertise in the said field. After the successful completion of the course, they have a wide range of options to work as legal practitioners, in state and national government agencies, take up niche areas concerning law. The course is set with a view of imbibing in them the credibility and proficiency in turning professionals in their field and abiding by the rules laid in order to bring out the society out the menace. 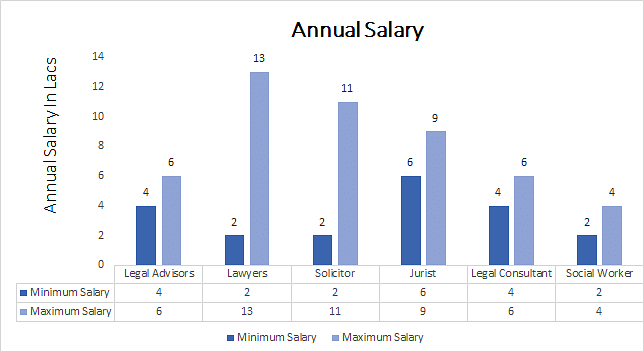 Candidates should have qualified Master’s degree or M.Phil in legal studies or law in the relevant field with a minimum aggregate of 55% and above from a recognized university. Candidates should pass the entrance examination conducted by various institutions and universities. Some reputed colleges will conduct the group discussion and personal interview sessions. They should have a minimum experience of 5 years as a professional in the field of teaching/ administration/ industry/ professional in senior level. Applicants can apply for the program either offline or by visiting the official website of the respective colleges. All the important information pertaining to the date for admission, entrance test and other such will be notified through email or listed on the official website. Ph.D. in Legal Studies course is divided into theory and practice. As the students already have gained experience as interns and professionals in the respective field before joining the program, this course helps to lay the final foundation in their study. They are exposed to different dimensions and are tutored the tools necessary for conducting research. ** The Syllabus of the program may vary for different universities and colleges. Candidates after the successful completion of Ph.D. in Legal Studies program have a myriad of opportunities to explore various areas of life. They have a wide scope to explore their knowledge, skills, training and apply the tools in areas like Law organizations, Businesses, Government and Private organization, Legal department, Research and Development, Colleges and Universities and other such. They can choose to become Legal Practitioners, Legal Advisors, Consultants, Researcher, Jurist, Social Worker, Lawyer, Solicitor and other such.